to everyone through the medium of dance itself. His one very video made him gain popularity and praises by vast number of people. Many of you have already watched this video. Now let us look upon who is Sanjeev Shrivastava, how did his dance video got viral and what were it's consequences, in today's blog on Sanjeev Shrivastava biography viral dancing uncle. Sanjeev Shrivastava is brought up at Madhya Pradesh. He currently resides at Bhopal. Sanjeev Shrivastava, is an assistant professor of electronic field since 8 years. He impart his teachings at Bhabha Engineering Research institute, situated at Bhopal, Madhya Pradesh. He was appointed as a Brand Ambassador by Vidisha Municipal Corporation. He also got a movie offered by the famous actor Sunil Shetty. He is well interested in playing cricket, acting and dancing. He is passionate towards dancing since the year 1982. He remained a stage performer till 1998. His main inspiration has always been his mother, who was a trained dancer. Sanjeev Shrivastava's video got viral very humorously this year. On 12 May 2018, Sanjeev Shrivastava went to a wedding reception party of his relative, at the city Gwalior, Madhya Pradesh. Wedding and no dance, how's that possible right? Same was the situation with him. At the wedding, he was dancing with full enjoyment along with his wife Anjali, beside him, without having a slight idea, that his dance moves were captured in a video. He was dancing to the song 'Aapke Aah Jane Se', from the movie Khudgarz. It basically comprised of dance moves similar to the actor Govinda. This very video was captured by Gautum Trivedi, who is a Twitter user. by his video that he twitted the following phrase "Humare Vidishi ke Bhopal mein karyakart Professor Shri Sanjeev Shrivastav ji ki zindadili ne pure Bharat par tehelka macha diya hai. Maano ya namano, Madhya Pradesh ke paani mein kuch toh khas baat hain"
and put forwarded his act of gratitude and thanks to each person who shared his video. Further, he also mentioned that his main idol will always be Govinda. He has received the Best Dancer Award, at Madhya Pradesh for three respective times, held in 1980's. Sanjeev Shrivastava is married to Anjali Shrivastava. He got two children a 12 year old boy named, Parv and a 10 year old boy named, Aradhya. 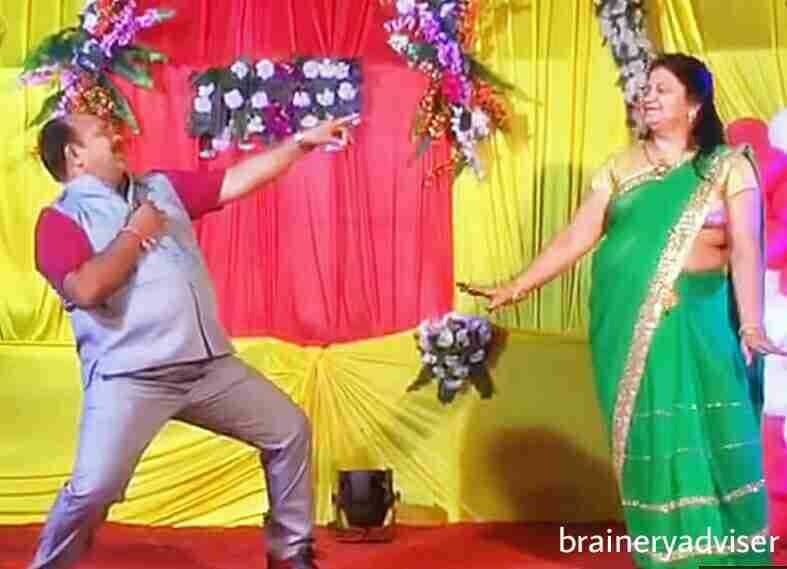 So, in today's blog we explored about the trending Sanjeev Shrivastava biography viral dancing uncle. He had always desired for pursuing identification and eminence from a very early age. And now when he achieved it through the medium of a viral dance video, an endless happiness and joy got build up in him. No doubt he is a well dancer, his video got positive responses by a mass of people in no time. It can be said that Sanjeev Shrivastava, got his popularity in a very less duration of time and in a effective way effortlessly. He further, aspires to get more dance opportunities, in the near future. So after having a glance upon Sanjeev Shrivastava biography viral dancing uncle, it is certain that no matter in whatever way it is, the popularity he gained within a short duration should be known and praised by everyone.